Relocating form one place to another is a tiresome and involving process. It requires a lot of planning and effort. A good moving company can make the process easier and faster. Local Moving LLC is a widely known moving company based in Denver, CO and is a favorite in Littleton. The company aims to prioritize the moving needs of their customers. Their skill and first class services ensure that there is appropriate planning before any move and that all requirements are met before a big move. moving from one location to another within the entire state of Colorado (in special instances they will do cross country moves as well). All three services are available at all times. However office moving requires early booking because it requires a lot of arrangements to be made depending on your packing needs. Early preparation ensures that the client settles as fast as possible in their new business building so as not to delay their work. Early booking is also needed for statewide moving as long distances also require effective planning to ensure maximum time management. Local Moving LLC offers packing and unpacking services for their clients. The movers ensure that all belonging are packed safely according to fragility and content. Packing and unpacking is done with utmost care to ensure nothing is damaged. In case one does not have packing materials, the company provides enough boxes in a variety of sizes at an affordable price. These are well labelled and inventoried to ensure all items are placed in their appropriate places on arrival at the destination. 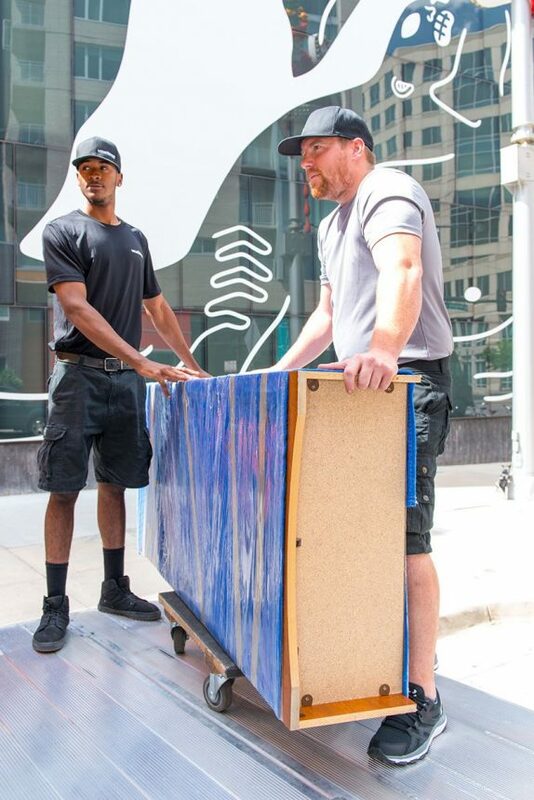 The movers also unpack the items, reassemble all furniture and leave with the boxes therefore making set up and transition easier for their customers. Many people do not know what exactly they should do when moving to make the process simple, even after hiring a moving company. Local Moving LLC ensures their clients are comfortable and have peace of mind. They offer advice to their clients on planning, timing and the process of moving therefore avoiding setbacks during the process. Their client's questions can be answered at any time, before or while moving. The answers can be gotten through emailing, phone calls or personal meetings with the movers. Their movers offer trusted and efficient moving services and are one of the highest reviewed moving companies in the Littleton and Denver area. With lots of experience, they provide the best moving services in the area, and guarantee it. Their workers are well trained, respectful, kind and easy to communicate with. The company definitely leaves a positive impression on all its customers. This is evident through all the positive reviews it has. Never worry or stress about moving again, let Local Moving LLC give you the best moving experience you've ever had!